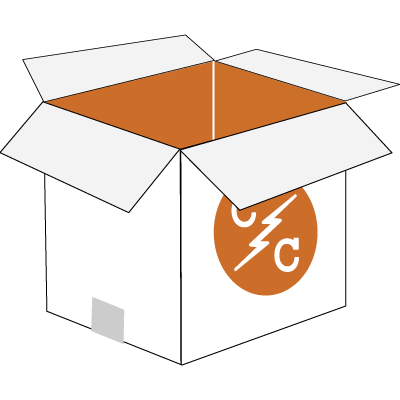 Copycats provides an array of product fulfillment services. Whether its products we’ve printed or manufactured for you, or merchandise you’ve manufactured elsewhere, we are happy to warehouse your products and have them ready to ship at a moment’s notice. Copycats Media fulfillment services are the best in the industry. From our low disc production prices to our speedy turnaround times, Copycats has streamlined the process, making it easy for clients to get their projects fulfilled. Our order fulfillment software integrates with nearly all third party e-commerce software, taking the work out of your hands and putting it into ours. Let Copycats be your one stop solution for all of your direct to consumer needs! So you only need a couple hundred CDs? We can help you with your CD production project no matter the size. There is no job too big or too small for Copycats. Our expert staff will take on your CD fulfillment project, understanding that even if the project is small it still gets as much attention as larger volume projects. Why have Copycats send product to a warehouse only to have it re-shipped somewhere else? Allow Copycats to fulfill your product to its final destination — no matter where you are. From the first moment of contact to the day of delivery, our customer service department will be there to help with any aspect of your fulfillment. Our team is trained to listen closely to each and every customer’s needs. Copycats Media is not here to tell you how your CD/DVD reproduction project should be fulfilled, but rather to give you power in making your vision a reality. We know that your sound is an expression of your creativity and we make no compromises with our fulfillment services. Need one or two thousand, maybe one or two million copies? Trust us to fulfill your order with absolutely no hassle. Mass CD/DVD production is handled with ease in our facilities. Copycats regularly turns out more than 200,000 discs each day. You can be assured that any amount of units will be delivered on time. Copycats takes the stress off you by taking care of your fulfillment needs. If you’re feeling unfulfilled from the other disc manufacturers, don’t hesitate — push the button below to get a quote for your fulfillment needs!